NASCAR driver Harrison Burton drove the No. 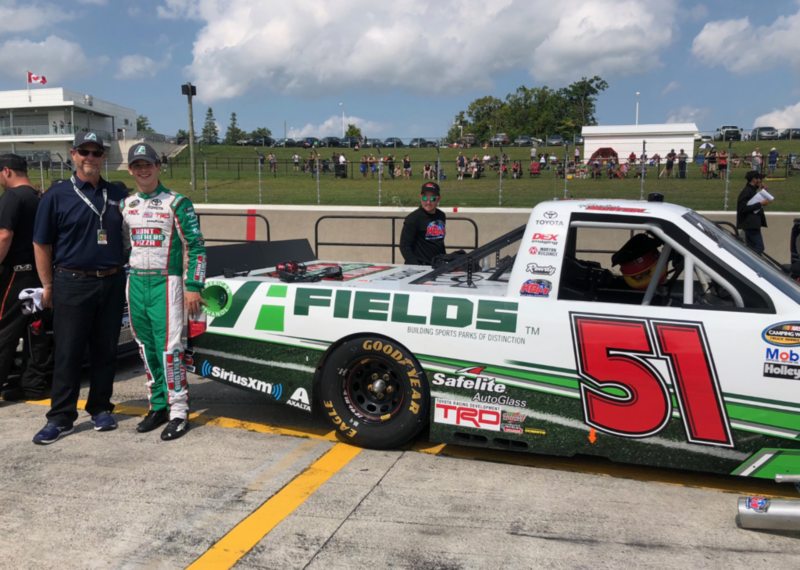 51 FIELDS truck in Sunday’s NASCAR Camping World Truck Series race in Ontario, Canada. We were proud to be there to cheer him on and are excited to watch Harrison in his next race at Lucas Oil Raceway Park as part of the ARCA Series on September 7! Harrison was named to the prestigious NASCAR NEXT class of 2017-2018 and is the 2017 K&N Pro Series East champion.